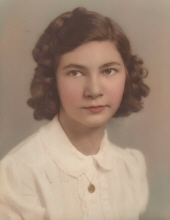 Catherine Halle (nee Binder), age 95, of Waldo, passed away early Monday afternoon (Nov.12, 2018) at the Atrium Post Acute Care of Plymouth. She was born on October 28, 1923, in Wisconsin, a daughter of the late Leo and Caroline (Theis) Binder. Catherine attended Waldo Grade School and graduated from Waldo High School. In April of 1950, she married Alvin Port. On May 1, 1958 she became the owner and operator of Waldo Print Shop. She became the woman who liberated herself before there were women’s liberations. According to a human interest story in the Milwaukee Journal, Catherine continued in this business for 30 years and also was a sales representative for Rock Advertising. In April of 1971, she married Warren Halle. (especially mysteries), crossword and jigsaw puzzles, flowers, and playing cribbage. Survivors include her two sons: Glenn and John Port of Waldo, special friends: Carrie Maggard, Kay Piper, Lynn Seitenzahl and several cousins, other relatives, and many friends. She is preceded in death by her parents, husbands; Alvin Port and Warren Halle and her daughter, Susan Port. Following Catherine’s wishes, private family services will be held. Burial will be held in Greenbush Cemetery. The family would like to send a special thanks to the doctors, nurses, and staff at St. Nicholas Hospital in Sheboygan, the Atrium Post Acute Care of Plymouth, and Sharon S. Richardson Hospice for all the care and compassion given to Catherine. To send flowers or a remembrance gift to the family of Catherine Halle, please visit our Tribute Store. "Email Address" would like to share the life celebration of Catherine Halle. Click on the "link" to go to share a favorite memory or leave a condolence message for the family.